Vadodara is also known as the Cultural Capital of Gujarat , the state of trade and commerce. This city houses a huge population of 2.1 million. The huge population means that there is a fair chance of setting up trade and commerce . And the same is happening with time . Lots of industries and trade have been set up post Independence in various sectors such as Information Technology , Household Goods Production , Manufacturing Industries , Small scale and Cottage Industries etc. 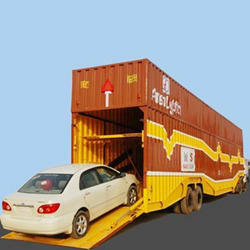 with well connected transport services . These networks are good on both i.e. intercity and intracity grounds . In Vadodara various large-scale industries such as Indian Oil Corporation(IOCL), Gujarat State Fertilizers & Chemicals (GSFC), Indian Petrochemicals Corporation Limited (IPCL, now owned by Reliance Industries Limited) and Gujarat Alkalies and Chemicals Limited (GACL) have come up in the vicinity of Gujarat Refinery and all of them are dependent on it for their fuel and feedstock. Other large-scale public sector units are Heavy Water Project, Gujarat Industries Power Company Limited (GIPCL), Oil and Natural Gas Corporation (ONGC) & Gas Authority of India Limited (GAIL). In addition to these public sector enterprises, a number of other large-scale enterprises have come up in the private sector such as Bombardier Transportation, a Canadian company manufacturing the Delhi Metro from its site in Savli along with other manufacturing companies such as Alstom, Areva, Mahindra, Apollo Tyres, Thermax, Siemens etc. Vadodara is also taking big leaps in Service Industry along with the aforementioned manufacturing companies. L&T has established "Knowledge City" at Waghodia . Recently MasterCard opened its tech hub at the city. With Vadodara accounting for over 35 per cent of India's power transmission and distribution (T&D) equipment manufacturers and home to an estimated 800 ancillaries supporting the big players in Power Sector equipment manufacturing and engineering industry, Vadodara is the Power Equipment Manufacturing Hub of India. In line with the 'Knowledge City' vision of the Confederation of Indian Industry, Vadodara is gradually becoming a hub in Gujarat for IT and other development projects. It is also the headquarters for information security company Indusface. Strong intracity and intercity networks in Vadodara are the basis for smooth transport services .These are the norms on which smooth trade is based .The city is on the major rail and road arteries joining Mumbai with Delhi and Mumbai with Ahmedabad. 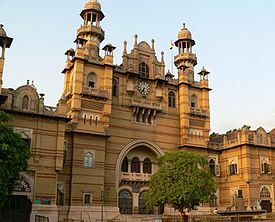 Due to this Vadodara is known as a Gateway to the Golden Quadrilateral.Vadodara was part of the historic Bombay, Baroda and Central India Railway (BBCI), which arrived in the city in January 1861. On 5 November 1951 the BBCI Railway was merged with the Saurashtra, Rajputana and Jaipur railways to create the Western Railway. Vadodara Railway Station now belongs to the Western Railway zone of Indian Railways and is a major junction on the Western Railway Main Line. Vadodara Junction railway station is Gujarat's busiest junction with almost 150 trains passing through every day.It comes under Vadodara Division of Western Railways. Passengers can travel to almost all the parts of India from Vadodara Junction, where there is a junction from the directions of Ahmedabad, Mumbai, Delhi and Kota (all four directions). It has one of the largest electric locomotives sheds in Gujarat and various trains have a loco change over at Vadodara. Trains such as Rajdhani, Shatabdi, Duranto and important mail/express trains halt at Vadodara Junction. Apart from various small railway stations Vadodara has 10 major railway stations namely Vadodara Junction (BRC'), Pratapnagar, Vishwamitri, Makarpura, Karajan (Miyagaon), Itola, Varnama, Bajwa, Ranoli and Nandesari . National Highway 8, connecting Delhi and Gandhinagar with Ahmedabad to Surat and Mumbai, passes through the city. Vadodara is also connected with Ahmedabad through Indian National Expressway 1, a 97 kilometres stretch of super highway with exits at Anand, Nadiad, S.P.Ring Road and finally Ahmedabad. In the near future, this expressway will be extended southwards from Vadodara all the way up to Mumbai. The necessary land acquisition work is in progress and the government has placed the project on a fast track priority. Public transport vehicles within the city include buses, autorickshaws and taxis. Buses owned by VMSS for public transportation are operated by the private bus operators Vinayak Logistics, which now runs over one hundred buses of 33 and 50 seater configurations. This development has reduced two wheeler traffic as well as provided a safe and cheap transport service. A significant proportion of the population uses their own vehicles – cars, scooters, motorcycles and bicycles. Recently an airport like bus terminal was inaugurated in Vadodara by Narendra Modi the former Chief Minister. A bus rapid transport system (BRTS) for the city is planned for the future.Along with public transport services ,many companies have been emerged to provide truck booking facilities for traders and industrialists . With growing digital world , now you can book these services online using various websites like GoodsOnMove which provide you a simple and easy booking service and saves your time , money and hassle!! No Comment to " VADODARA-Industrial Development Post Independence "